NEW YORK, Jan. 19 (Xinhua) -- UN Secretary-General Antonio Guterres on Friday called for serious talks between the United States and the Democratic People's Republic of Korea (DPRK), and for a clear roadmap of denuclearization of the Korean Peninsula. 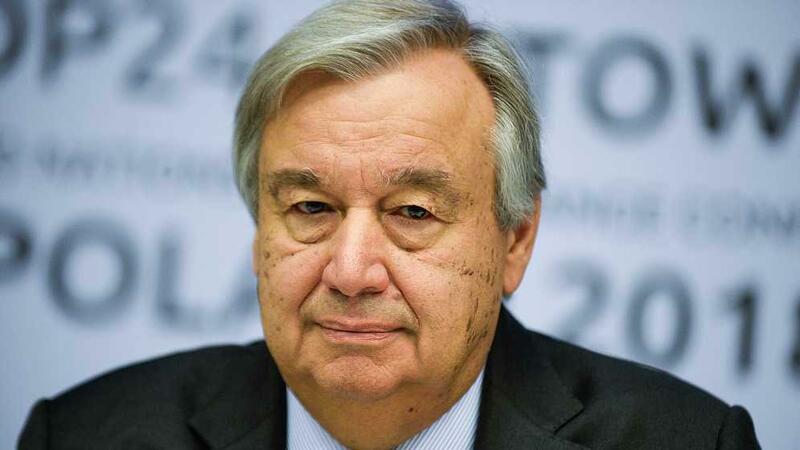 "We believe it's high time to make sure that the negotiations between the United States and the Democratic People's Republic of Korea start again seriously, and that a roadmap is clearly defined for the denuclearization of the Korean Peninsula," Guterres told a start-of-year news conference. "We will not advocate for any anticipation of other measures before a clear negotiation is put in place, aiming at the denuclearization of the Korean Peninsula with a roadmap," he added. Guterres made the remarks when U.S. President Donald Trump was meeting with DPRK envoy Kim Yong Chol at the White House. "We encourage both countries to move on with the negotiations. We need a clear roadmap, as I said, to clarify things, to allow us to know exactly what the next step will be and to have predictability in the way negotiations take place," he said. The White House said Friday that Trump and DPRK leader Kim Jong Un will meet again at the end of February at a venue to be announced later.